Although the blog was down for most of the season, that didn’t stop us from publishing articles on The Daily Free Press’ main website. 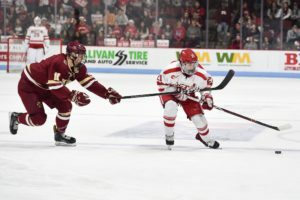 In this post you can find Matt’s feature on junior forward and assistant captain Bobo Carpenter and his 20 questions with freshman forward Brady Tkachuk. 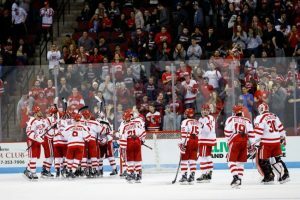 Don’t forget to check out Liam’s article on freshman defenseman Kasper Kotkansalo as well as Liam’s most recent artcie on the BU Pep Band. We also have one more for you readers. 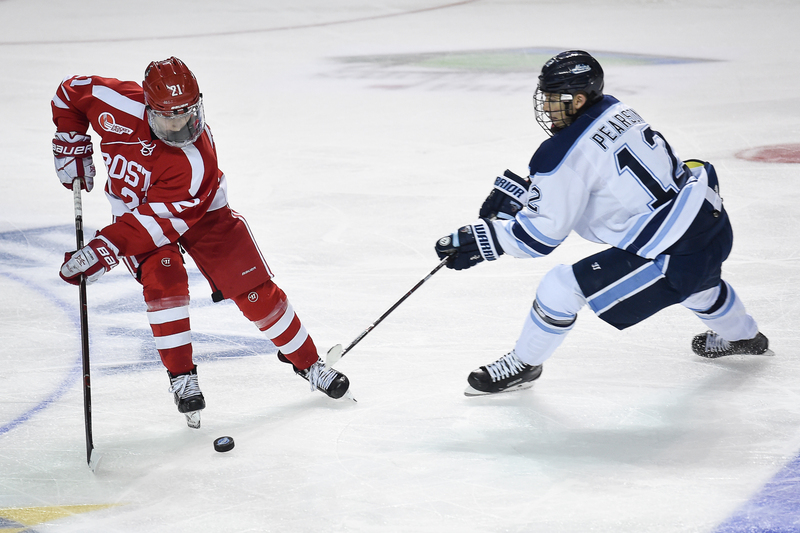 Before she became the Sports Editor for the FreeP, Nikki wrote a feature on sophomore defensemen Chad Krys and Dante Fabbro. Please be advised while reading these articles that the records and stats are accurate at the time of being published which could be different as of today. Liam and I do have some more cool stories that we are currently working and they will be published soon. 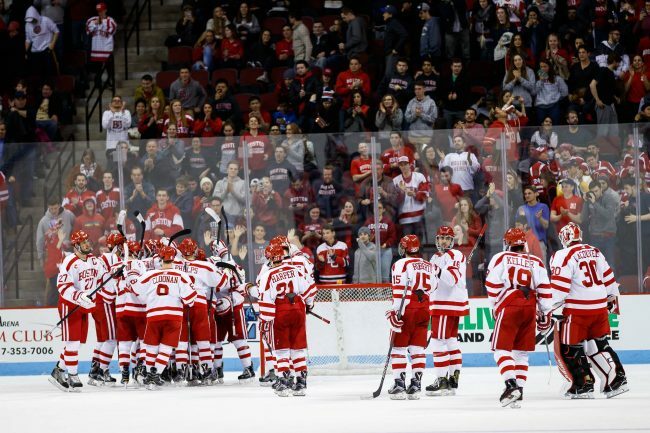 Have no fear Boston University men’s hockey fans, the 2017 NHL Entry Draft is almost here and many BU recruits as well as rising sophomore goaltender Jake Oettinger are expected to hear their names called by league commissioner Gary Bettman. The first round of the draft will start tomorrow at 7 p.m. EST and the second through seven rounds will begin at 10 a.m. EST on Saturday. We will keep you updated throughout the draft via Twitter and post a draft recap for those of you who can’t tune in. While there is still one more day before Oettinger and other future Terriers will learn their NHL fate at the United Center in Chicago, we have compiled a preview full of highlights, facts and projections to get you all ready and excited for this year’s NHL Entry Draft. 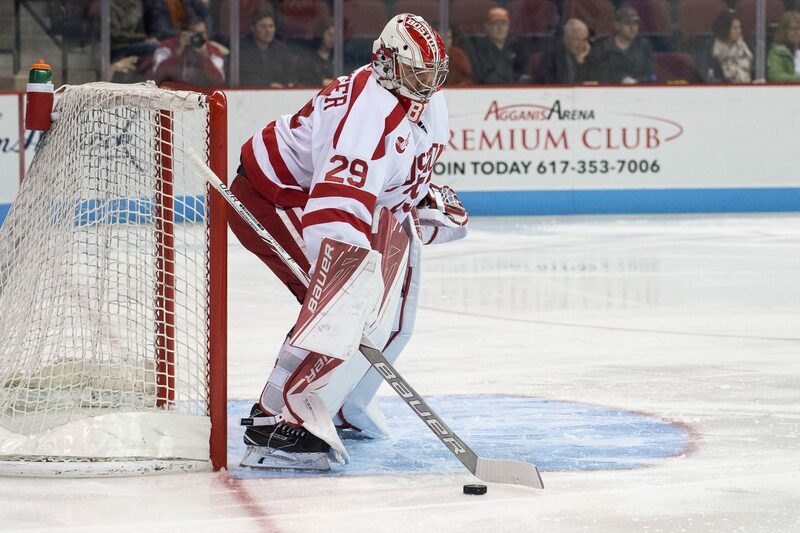 The 6-foot-4 netminder took Hockey East by storm his freshman season. 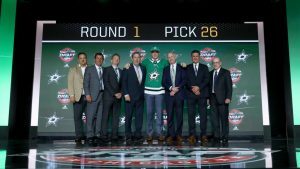 His production is expected to translate into a favorable spot in the first round of the draft, with potential fits being the Chicago Blackhawks, who own the 26th selection, or the Dallas Stars with the 29th pick. 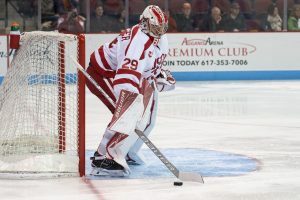 The Minnesota native ranked among the leaders in the NCAA with an impressive stat line, which included a .927 save percentage and 2.11 goals against average while leading the Terriers to a 21-11-3 record when he stood between goal. The moment the 18-year-old center announced his commitment to BU in November, the excitement surrounding him has not diminished. 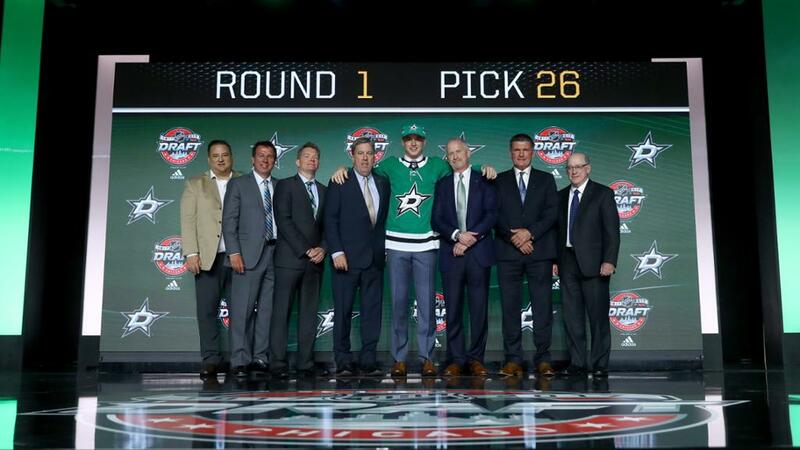 This comes as no surprise as the Canadian-born player had a stellar season with the Waterloo Black Hawks (USHL). He finished 10th in the league after totaling 51 points (22g, 29a) in 60 games, including two goals and one assist in the postseason. Bowers has also represented his home country in numerous tournaments and was most recently a member of Canada’s Under-18 Team. While this BU recruit may slide under the radar, some reports project Crotty to be selected as high as the late second round. The Ontario native picked up 31 points (7g, 24a) in his two years with the Brockville Braves (CCHL), but is known as a two-way defensemen and was named the CCHL Top Prospect for the 2016-17 season. 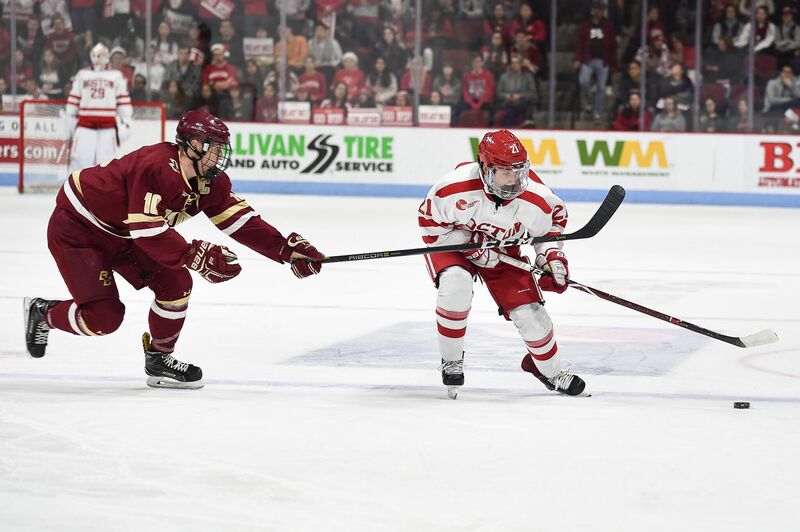 The 18-year-old may need some time to grow and adjust to college hockey, but he has the potential to develop into a strong blueliner. The defenseman been credited with containing a brilliant offensive acumen and should expect to hear his name called in the middle rounds of the draft. Armed with a stellar shot and commendable passing skills at the blue line, Farrance racked up seven goals and 30 assists with the USA National U-18 Team in 2016-17. He also starred in the U-18 World Championship, scoring a pair of goals to accompany an assist over a seven-game stretch. The defenseman may not find an NHL team until later in the draft, but he will likely provide a physical presence for BU on the blue line. The Finland native most recently played for the Sioux Falls Stampede (USHL) and tallied 12 points. However, Kotkansalo snagged six points in 13 games during the Finland Under-20 Tournament.